I know nothing about plants and flowers. Thank God for my mother and mother-in-law when I was getting married because the flower situation was so beyond me. The only thing I knew and still know for certain is that I’m not a fan of Roses. I don’t find them that pretty, and I think how they have been over-dramatized with their love correlation is just too much. Approximately $852 for 5 on Valentine’s Day. No thanks. Anyways, despite not knowing anything about flowers and plants, I do know two things for certain. I have no idea how or why, but I absolutely love the Orchid and Succulent. Like, the obsession is real. And here’s the thing, it’s not like either of them are insanely beautiful. Instead, they are so simple, clean, and (mostly) low-maintenance (though I admit I already killed my favorite Succulent – FML – more on that sometime I’m sure). Sometime early last week I knew I wanted to get us a couple house warming gifts for the new house. 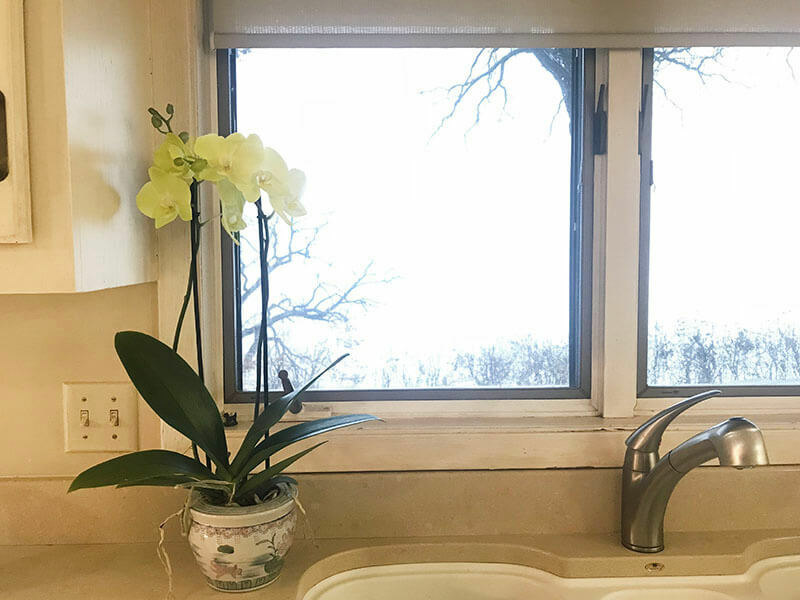 “Home for the Holidays,” the kitchen sign (both can be seen here), and an Orchid. What Does an Orchid Symbolize? “Fertility” is a focal point with the Orchid; it’s not for me, not in that sense anyways. But everything the Orchid symbolizes I resonate with. Yellow – Yellow orchids represent friendship, joy and new beginnings. Green – Green orchids are thought to bring good fortune and blessings. They represent good health, nature and longevity. My favorite Orchid is the white one, but I also love the pink and purples ones as well. For our housewarming gift, though, I had to order a yellow Orchid. ….even though yellow is my least favorite color, the Yellow Orchid represents friendship, joy and new beginnings. And there are three things that have an incredible amount of meaning in my life (and our lives) currently. This past year has seen one of the hardest friendship lessons I have ever learned. During that storm, though, I worked on (and am still working on) all the things that I have needed to work on for years. It all brought about a massive new sense of joy in my life (which I feel so grateful for daily now). It also brought about new beginnings. So many new beginning that only I can see and feel; they are indescribable. Reminds me of THIS. Friendship, joy and new beginnings…..with the culmination of this new beginning being a very visible one for anyone to see; our new house. 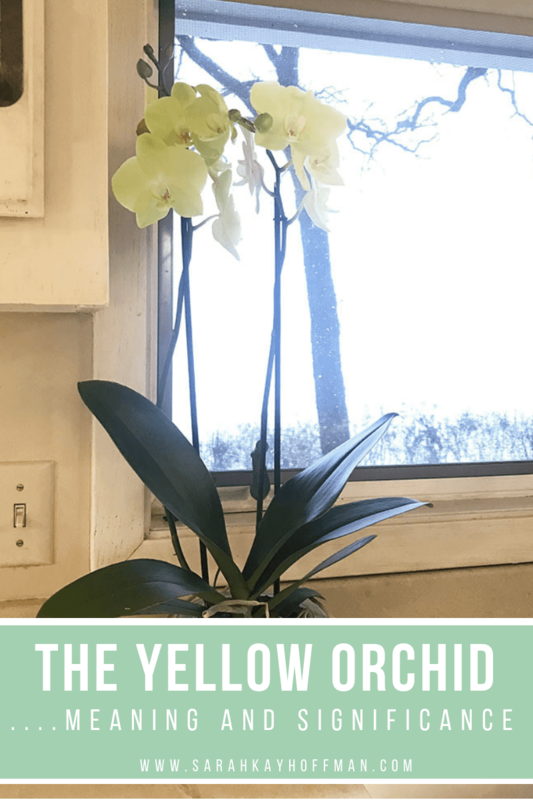 So I knew that I absolutely needed a Yellow Orchid as my reminder of what the past year has been like, all that we have done, and all the ways I have personally grown (for the better). There are NO Orchids just sitting around in the small town where we live. So I called the local floral shop on Thursday. They were just as surprised upon finding out that yes – yes their flower source could deliver (the very next day) my Yellow Orchid. And I picked it up almost immediately on Friday morning. The Yellow Orchid is my favorite house warming gift. It’s bringing so much brightness and calm amidst the craziness that has been unpacking and learning all the things about our new house (so many things in this house I never even knew existed). Do you like Orchids? If so, have a favorite color?